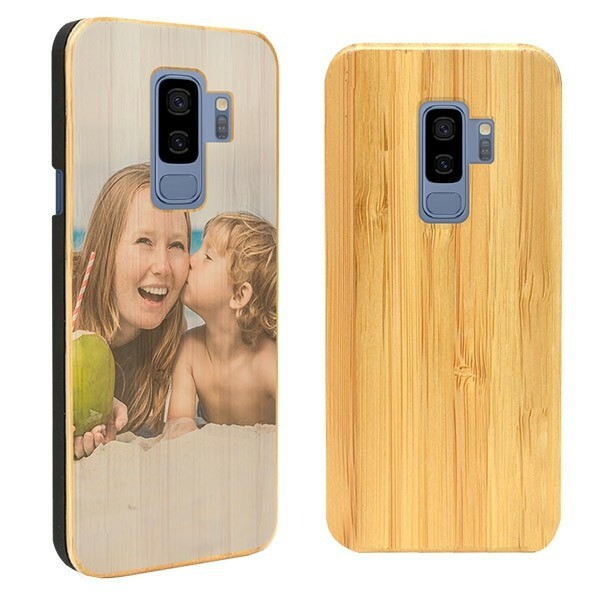 Order a personalised Galaxy S9 Plus case made from wood for great phone protection and an amazing natural look. Your favourite pictures and designs to be printed on a natural wooden case. Design your own personalised Galaxy S9 Plus case and we'll print it and ship it to you. Make an amazing and truly one of a kind case using your own pictures, designs, or logos. We’ve made it possible for you to determine the design process, so you get exactly what you want. Just because you can put a personalised print on your phone doesn’t mean it won’t provide great protection. Our wooden cases are made of tough plastic with a bamboo back cover, ensuring that your phone is protected against bumps and scratches. Bamboo’s strength and ability to bend means it will keep your phone safe. The close fit and natural feel keep your phone looking and feeling great. Protect your phone with your unique personalised phone case. 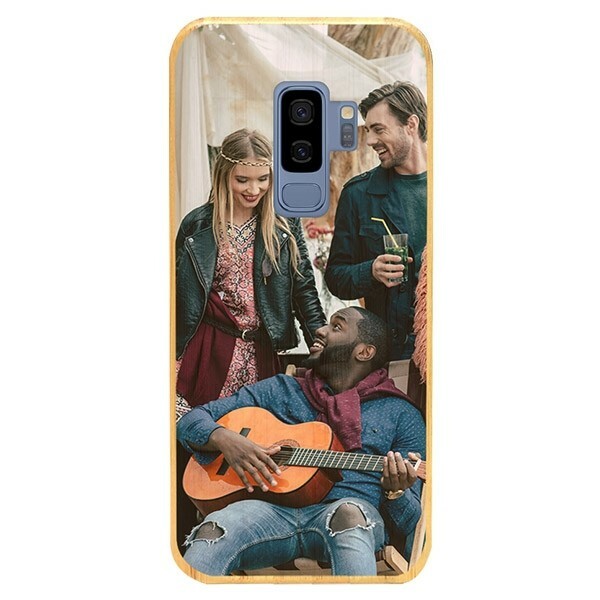 Order your personalised Galaxy S9 Plus case now. In little time and with surprisingly little effort, you can create a personalised slim case that looks amazing. 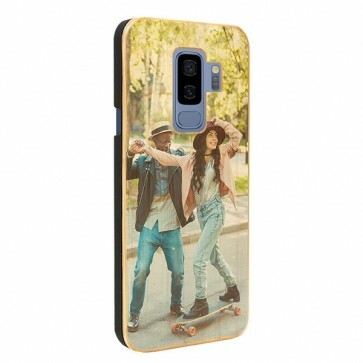 Choose the right phone model and case type from our collection and upload a design or photo via your phone, computer, or social media accounts, like Instagram or Facebook. You can use any kind of image, as long as it is a PNG or JPEG. Make any image adjustments, add text or emojis, and finalize your order. We made the process of designing a case easy so you can focus on the design itself. A personalised phone case also makes for a great custom present for friends and family. Start creating a personalised case now and see for yourself! Once you have finished your design, double check it and check out. We will start preparing your personalised Galaxy S9 Plus case almost immediately. We will print your personalised design directly onto the bamboo on the back of the phone case using high-quality UV printers with scratch-resistant ink. After your personalised case has been made and checked for imperfections, we’ll ship it to you. Quality is incredibly important to us so if there is anything wrong with your print, we’ll make a new one. If only everything in life were this simple. Before placing your order, please make sure to carefully check all your order details. Design a personalised phone case for yourself or as a gift now.